Superdry women’s Vintage Logo rhinestone t-shirt. A crew neck t-shirt that will add some sparkle to your wardrobe. Featuring a Superdry logo across the chest with a combination of rhinestone and glitter detailing. 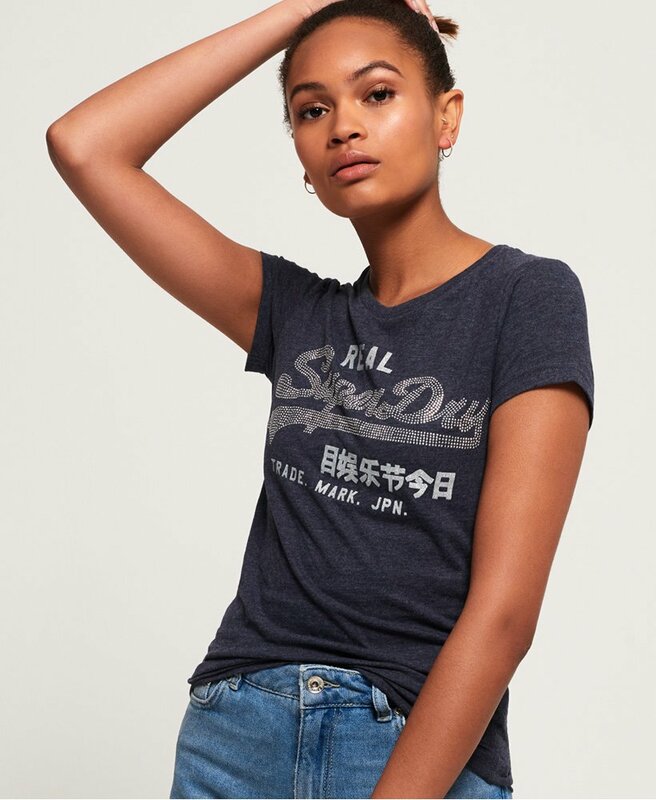 This t-shirt is finished with a Superdry logo tab on the hem.